In 2012, the South African fruit industry launched an initiative to develop a set of environmental and ethical standards in line with international norms. As part of this, a programme was established to assist black citrus farmers to comply with those standards and expand their exports. Alita van der Walt outlines how the programme works, and examines its successes. Joseph Hlongo, a citrus farmer in a co-op, is enrolled in SIZA’s ethical trade facilitator programme. In recent years, consumers have become increasingly concerned that the food they buy is produced according to environmentally sustainable and ‘fair’ labour practices. Food companies and retailers have in turn begun demanding assurances in this regard from their suppliers. This has resulted in a plethora of standards, differing from country to country and from retailer to retailer. To simplify this web of legisation, a number of the large retailers have developed the Global Social Compliance Programme (GSCP), an internationally recognised set of reference tools, including a reference code, audit process and methodology. Since 2008, the South African fruit industry has been working towards developing a single SA environmental and ethical standard and programme based on the GSCP and aligned with the country’s labour legislation. 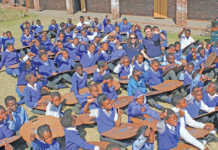 In August 2012, this programme was formalised as the Sustainability Initiative of South Africa (SIZA). SIZA facilitates capacity-building initiatives to support commercial farmers, developing farmers and their workers by implementing its standards. SIZA membership is growing rapidly; there are currently more than 1 600 registered members, all of whom benefit from and rely on the programme. Amongst the programmes that SIZA is rolling out is one aimed at black citrus farmers. Partially funded by ABSA, the programme is being implemented in partnership with the Citrus Growers’ Association Grower Development Company (CGA-GDC). Yolanda Ntlakaza, business support manager of CGA-GDC, says that of the 1 300 farmers producing citrus in South Africa, 123 are black farmers, of whom only 51 sell their fruit on the export market. According to Dr Langelihle Simela, business development manager at ABSA, the number is so low because many black farmers struggle to comply with the required export standards for quality, food safety, and ethical labour practices. As a result, they are forced to sell to the local market or processors, and lose out on profits. “Fruit such as grapefruit can fetch up 20 times more on the export [market] than the local market,” says Langelihle. SIZA accreditation would be a step towards sustainable businesses for these farmers. The Ethics and Leadership Institute (ELI) was contracted to roll out SIZA’s Ethical Trade Facilitator programme, while the CGA-GDC provides business support management. ELI is one of several companies trained and accredited by SIZA since 2012 to present the ethical trade facilitator programme. ELI specialises in training and human resources and provides business consultancy services to the agricultural sector in South Africa. Christo Lategan, project manager at ELI, runs the ethical trade facilitator programme for black citrus farmers. 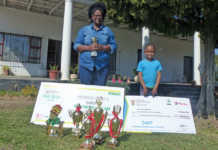 “We started with 50 farmers, drawn from the 118 developing citrus growers in Limpopo, Mpumalanga, Eastern Cape, North West and KwaZulu-Natal,” he recalls. The Western Cape was not included in the programme as it has been implementing a similar programme over the past two years. and continual improvement support to ensure sustainability and maintain compliance. During a one-day training session, farmers are taught the eight principles on which the SIZA programme is based. and ensuring that working hours are in accordance with legislation. According to Christo, a total of 98 people on 44 farms have been trained so far. After receiving their training, farmers register on the SIZA platform, where they must complete a self-assessment questionnaire in which they can compare their practices with the South African labour law benchmark (ELI assists farmers in this regard). The questionnaire also serves to establish risk and to what extent the farmer is complying with legislation and SIZA standards. ELI then provides training to the farmer to improve his or her compliancy until that person is ready for the third-party audit, which will in turn help the farmer gain access to local and international markets, and thus build a sustainable operation. The SIZA third-party social audit is not a pass/fail exercise or simply another certificate. Rather, it is an effort to help emerging farmers continually improve labour conditions. with the Platinum category having the most stringent qualifying criteria. SIZA members are rated against these risk categories; if they meet the criteria, they can move to a higher category, where fewer audits are required. SIZA has also identified activities and actions that mitigate and manage risk. It offers a range of tools beyond the audit that, if used in combination, provide more extensive cover and management of risk between audits, making the programme more robust. While the third party audit is an important component of this, it is what happens between audits that really supports and maintains sustainable improvement. 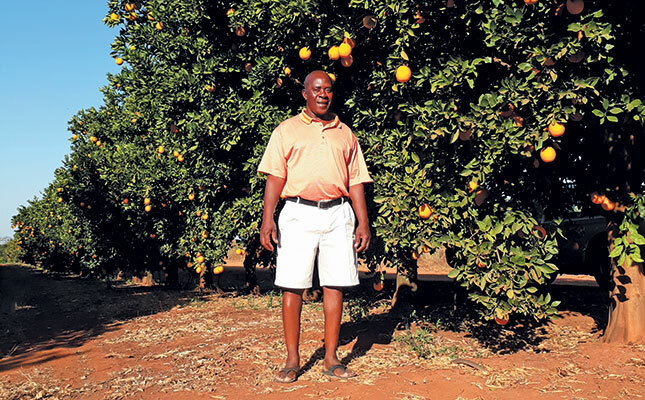 Joseph Hlongo is the section manager for citrus on Mariveni farm, a communally owned farm on the outskirts of Nkowankowa in Limpopo. The farm has 145ha planted to citrus and 72ha to bananas, with a further 30ha of newly planted citrus orchards. It exports 270 000 cartons of citrus in a normal year (that is, with no drought or hailstorms). Joseph and a handful of farmers from the Greater Letaba district recently completed their basic ethical trade facilitator training. According to him, ensuring that produce meets export market requirements is crucial for the Mariveni Co-op’s continued success. “If we can’t export our fruit, we have to sell it for juice and then we lose a lot of money,” he explains. According to Langelihle, Phase 1 of the programme for black citrus farmers will be concluded by June next year.